Welcome to the Trekking and Mountaineering section of this website. This section of the website relates to trekking and mountaineering exploits of our members. This will include trekking, back packing and mountaineering experiences of some of the illustrious members of this club who undertake journeys into the unknown from time to time. Ian powditch, chairman of this club, successfully completed The Tongariro Crossing in New Zealand recently. He has managed to publish a short report of his experience together with some splendid photographs he managed to bag. 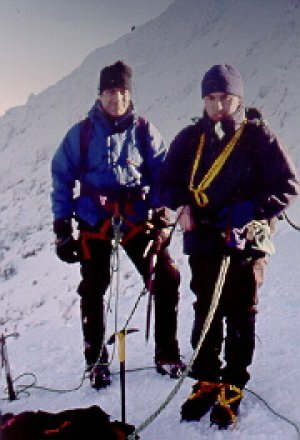 In Autumn 2006, the two most illustrious and senior members of our club, Ian and Marianne Stuart undertook a breath taking and extraordinary trekking expedition in the Himalayas. Ian and Marianne made a detailed note of this journey together with excellent photographs. The pictures can be viewed in our Gallery. These notes summarise a talk that Ian gave to the Club at The Grouse and Claret in May 2007.